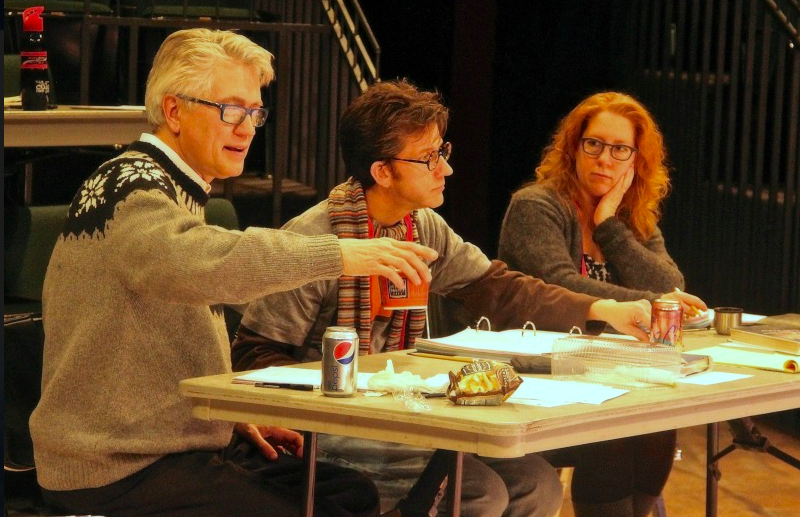 Conventionally, a dramaturge is a theatre specialist responsible for providing critical support and feedback to the playwright and occasionally to the director. The process can range from traditional forms of script advice to responding to other elements such as narrative arcs and plot as well as providing the context and history of previous productions. Depending on the nature of the production, the dramaturge may also provide programme notes or develop audience engagement plans. But, like developing a language of the game, dramaturgy is inherently a process of theatrical navigation. It reflects an exploration of who we are as artists, how we make work, and how we connect to our audiences. This process can extend far beyond the traditional expectations of dramaturges and their relationships with other members of their team and in New Zealand there is plenty of room to develop what this role could, and should, look like. If we can have such pride in our national sport (irrespective of whether we are in fact fans of grown men in stubbies chasing a leather-skinned nugget across the field), then surely we also deserve a dramaturgy that is distinctive to us as New Zealanders in 2016. In fact, as Henderson suggests, we deserve a winning dramaturgy – one that takes risks to surprise its audience, both at home and internationally. It’s no longer an option to do what’s safe. We want to push the boat out further than ever before. We want to take our community with us to new and exciting places. Dramaturgy is a shared process of learning. Here you will find the opinions, questions, challenges, and observations of industry practitioners, creatives, and performance academics; these are the voices of Aotearoa New Zealand on dramaturgy. This is our kōrero. Join us. Towards a NZ dramaturgy began as a personal project. I wanted to explore what University of Kent academic Patrice Pavis describes as a “rich, varied, confused, and tormented landscape”, and engage with dramaturgy on its own terms right here in Aotearoa New Zealand. Let’s be clear: dramaturgy is not new. In New Zealand, dramaturgy has been practiced outside the arena of euro-centric aesthetics for more than four centuries. It’s spanned a range of art forms, from circus to devised; immersive and participatory experiences, as well as rituals and ceremonies. Dramaturgy extends beyond black words on white pages and indeed far beyond the physical walls of a venue. It resonates with ancestral knowledge and ontological understandings and refutes any singular monocultural perspective. This is the dramaturgy of Aotearoa New Zealand: a practice embedded in the land as much as in our people, and it comes today with a need to broach a much wider dialogue. This will be key to reconceiving how we imagine dramaturgy in this country. Without a set text on what dramaturgy might mean locally, I began a series of conversations. Thirty vibrant, articulate, and engaged practitioners took the time to contribute to this kōrero (conversation) and their collective insights (over 30 hours of transcribing and close to 60,000 words) reflect the fact that we’re committed to activating a robust dramaturgical process for our industry. Responses varied from conceptualising dramaturgy as an act of ongoing creative collaboration to finite input during a rehearsal process; from cultural structures and tikanga to exclusively script-based support; the development of emotionally intelligent universes through non-verbal communication; and of course, the practicalities associated with funding and availability and accessibility of those with this expertise. But there was consensus. The function of dramaturgy, as suggested by these conversations, is that however limited or broad its scope, it refuses to operate in binaries. There are no universal truths to be quickly superimposed upon this practice. But it’s important to engage with the diversity of opinions and its various iterations in practice. Through initiating efforts to develop, flex, and expand a vocabulary on dramaturgy we can develop the tools and processes to take our work to the next level. Dramaturgy is not drama. Nor is it exclusively about words. It’s a process that, as Professor Sharon Mazer from AUT explains, is the “navigation between a text and its inherent theatricality.” Whether that text has been freshly penned or handed down through generations, transmitted through oral traditions, or devised through a series of physical and non-verbal narratives, dramaturgy as a practice offers a means to uphold the integrity and authenticity of a work. According to Jaime Dorner, former University College of Learning (UCOL) programme leader and director, the dramaturge is responsible for two very distinct functions: “creating logic in the world of the work, and then working with the director to materialise that world.” It’s a succinct and unequivocal expectation that Dorner has found generally (if not always) works well when establishing boundaries between the playwright, director and the performers. A range of factors during the creative process often blur these roles, but it’s a process, he argues, that’s worth the investment. Often dramaturges are offhandedly referred to as the critical eye or the outside voice – without actually clarifying what the role could actually mean for any given work. As Hunt indicates, by developing a habit of tearing ourselves away from the vocabulary normally associated with dramaturgy and becoming more aware of the environmental and cultural resources available, it becomes easier to engage with how we want to define the role of the dramaturge in our work. It’s also useful to remember that while we may be a semicolon at the bottom of the globe, we’re an integral part of the world’s changing dynamics. As our stories and people travel, our understanding of the world and our place also change. As a Pacific nation we’ve been host to generations of manuhiri, visitors who bring a distinct perspective that contributes towards sculpting a dynamic cultural ecosystem. It often comes back to artists and our accountability to our art. But how do we use dramaturgy to honour the work and its creatives? Refining the purpose of a work is the start of a conversation to achieve greater clarity, but it also requires an understanding of the world of the work. This is a shared universe developed by the different creatives and performers, held together by the creative community, and ultimately extended to the audience. The need to value dramaturgy arises not from a need to merely consolidate a definition (being such a porous term can work to its advantage) but to ensure it experiences emancipation from exclusively literary and euro-centric paradigms. Pedro Ilgenfritz, director, dramaturge, and senior lecturer at UNITEC explains this approach. Ilgenfritz’s comment, like those of many of his colleagues and industry peers, highlights that dramaturgy and its latent value depend on a flexible system. In order to value dramaturgy, it’s essential the codes for dramatic construction are recognised as operating under a range of different factors. To reach that next level, there need to be changes. We need to improve the infrastructural support for dramaturges, as well as how we receive dramaturgical feedback. We can do this through interrogating the existing system and its operating models and finding new and innovative ways to create outcomes that can have a high degree of dramaturgical impact. Once said however the question then becomes: how do we address this? Indeed, as our community kōrero highlighted, aside from endless cups of tea (or other forms of liquid refreshment) there are some pragmatic steps we could take towards developing a healthy conversation around dramaturgy. Stuart Hoar, Playmarket script advisor, suggests one such step might be to acknowledge the conflict that arises in how different dramaturges conceptualise this practice. He believes there’s a lack of a coherent philosophy in dramaturgy, which means “it’s understood in different ways depending on circumstances – and as a result it’s often hit and miss.” Like other dramaturges, he’s clear we need to improve not only our ability to receive critical feedback, but also engage with how to provide dramaturgically sound advice that is useful, relevant and practical. It became obvious when speaking to the community that the need for a cohesive understanding of dramaturgy is paramount to the success of this term in the theatrical lexicon of New Zealand. Lack of knowledge and skill, blurring of roles and the ‘quick and dirty’ version of dramaturgy are all factors that contribute to a lazy, if not ineffectual, dramaturgical process. However, once these sources of tension are acknowledged and addressed, it’s possible to construct healthy and proactive relationships. These relationships support not just creators, but the very alchemy of dramaturgy: storytelling. Well, if only it were that easy. One of the assets of a small industry is a penchant for swapping hats: a producer one day might moonlight as a director or playwright the next. This environment can create fertile opportunities for a rich and dynamic range of skills, but unfortunately the culture also readily lends itself to being moderated by gatekeepers and cliques. Outsiders invariably find themselves on the periphery and might form an alternative group, often out of necessity, rather than purpose. As radio producer and dramaturge Adam Macaulay explains, one of the primary reasons for this phenomenon is the lack of transparent and healthy relationships within the creative teams and wider community. But this is just the start of the change. Haka isn’t alone. 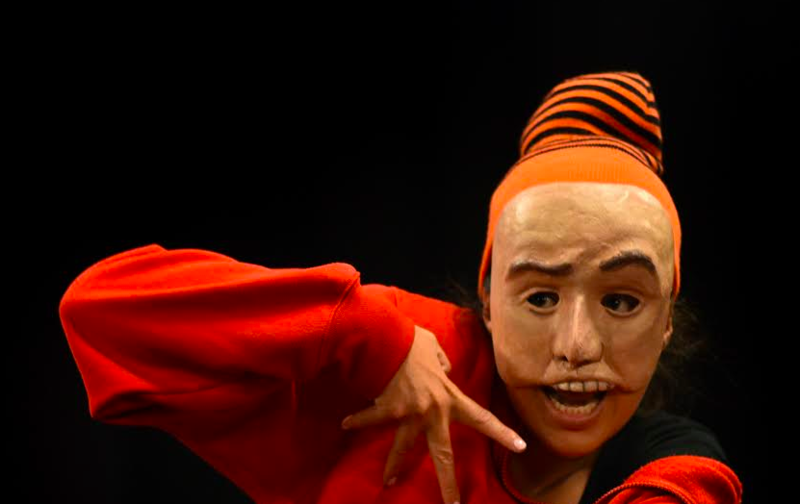 There are numerous other theatre makers and rapidly growing forums (for example, Asian Creatives Aotearoa, and the Pasifika Theatre Makers) who have taken steps to address the inequity across the industry. There’s also an increasing recognition that strategic changes are necessary for both short-term gains as well as long-terms solutions, and the pronounced emphasis that the work must take into account the audience in ways that go beyond simply securing ‘bums on seats’ and ticking boxes to fulfil funding requirements. That, for some, is the model of theatrical success: a yardstick that ticks the checkbox of well-defined and rounded characters, clear dramatic arcs, crisp dialogue and pacing and complementing lighting, sound and costume design. But as creatives have highlighted, there are a range of socio-cultural aesthetics that also need to be taken into account. Different stories have different histories. There’s no uniform mould that will produce ‘success’ as that in itself is subjective, but by taking the necessary steps to ensure that tensions are acknowledged and new relationships developed, change can happen. Reviews in particular have an important responsibility here. 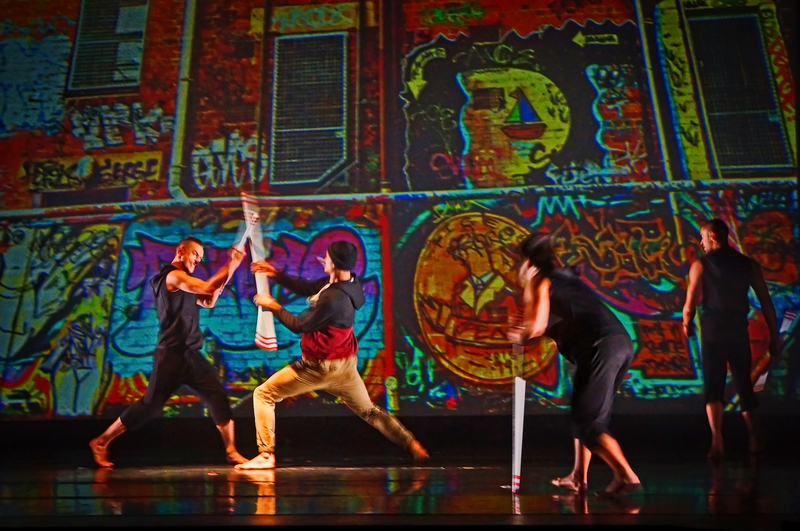 Proactive efforts and a willingness to engage with a range of different cultural contexts allows for an informed commentary to extend far beyond merely watching a work come to life in a black box. After all, the bigger the circle, the better the conversation. Mika Haka in ‘Salon Mika’ Photo courtesy of the artist. There isn’t a magic dictionary or an online course that suddenly provides cultural competency in the arts. There isn’t a fairy godmother/father/aunty/cuzzie that can sprinkle a few tonnes of twinkly cultural intelligence and there’s certainly no patronus on hand that will charge through patriarchal hierarchies or narrow-minded insecurities on your behalf. It’s not a world of M&Ms with a goofy tune and promises of good things in crayon colours. In fact it’s sometimes a liberally bespattered Twitterverse. But that doesn’t mean it’s impossible to start a revolution. We can take certain steps to foster a culture of dramatic change. The first is to recognise the value we bring to the conversation on dramaturgy. At the 2014 international arts summit in Edinburgh, then-artistic director of the Edinburgh Festival Jonathan Mills called delegates from around the world to recognise that the currency in which we trade as artists is our culture. He spoke not just of diversity in regards to ethnicity, age, ability, gender, or sexual orientation but of a culture of recognition and trust, where individuals and communities are empowered to tell their stories and are supported to share those stories with audiences everywhere. This is the dramaturgy we need to embrace. Later he also remarked that coming from the Southern hemisphere (he’s Aussie) we have a specific orientation to the world, a lens that we share as Pacific nations, and that’s a gift that we can use to take our work to new heights. Dramaturgy has the potential to be part of the new currency in which we trade. It’s a process that can offer insight and depth to any creative work and has proven to be an asset – but without taking risks, it’s not likely we’re going to head very far. Taking risks is more than just an advertising campaign. It begins by making efforts to decolonise the current structures and knowing that different forces are at work alongside different, and occasionally competing, histories. 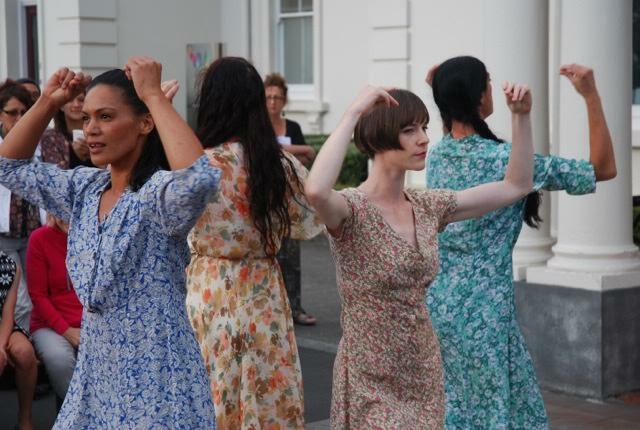 It begins by taking stock of our place within the arts community in New Zealand and ensuring that all the elements of a healthy, rich culture can participate fully in developing a cultural ecology. It begins by establishing an environment where the value of dramaturgy is recognised, and a dramaturgical process is alive and healthy; and yes, it begins with this kōrero and knowing that dramaturgical exchange has the potential to create transformation – not a massive tectonic shift, but a change in the fuel that we use to fire our imagination and practice. Dramaturgy in New Zealand isn’t new, but in 2016 it’s ready to be challenged, debated, questioned, and included in the wider conversation. There is work to be done to refine our expectations of the role and the context in which our work is made; efforts required to value the already existing dramaturgical inputs that are made and in doing so, create structures that will extend their currency to create inclusive circles of creative collaboration. Finally, it is utterly essential that we recognise that it is our shared responsibility to be liberal in our thinking, generous in our support, and tireless in our quest for excellence. This is after all our story and we get to tell it. To move towards a New Zealand dramaturgy requires us as artists, and as an industry, to take action. 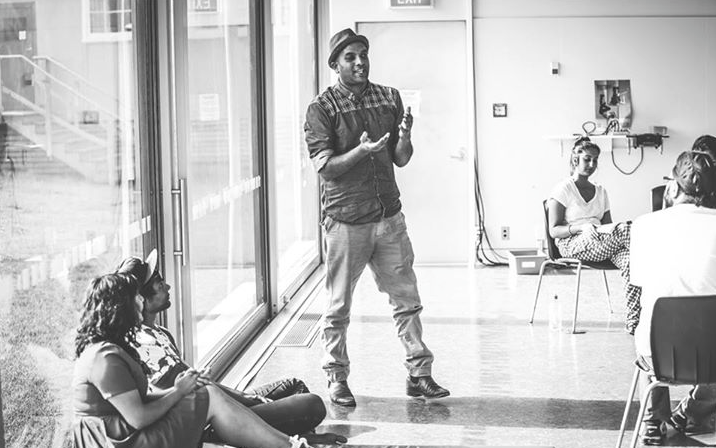 In response to the collective insights of our community we need a movement towards establishing dramaturgy as an essential component of our creative process. So consider this an invitation. Consider this a guideline or even the Pirates’ Code. Consider this what you will, but it’s our call to action. The question is: are you ready to play the game? Towards a New Zealand dramaturgy is an ongoing project. In 2015 thirty practitioners and creatives generously gave their name and I would like to acknowledge their contribution: Adam Macaulay, Ahi Karunaharan, Allison Horsley, Angela Green, Arnette Arapai, Carol Brown, Esther Roberts, Gabrielle Vincent, Gary Henderson, Geoff Pinfield, Jaime Dorner, Jason Te Kare, John Smythe, Justin Gregory, Karin Williams, Malia Johnson, Mika Haka, Murray Edmond, Nathan Joe, Pedro Ilgenfritz, Raewyn Whyte, Renee Liang, Rob Mokaraka, Robin Kerr, Sharon Mazer, Stuart Hoar, Tainui Tukiwaho, Tanemahuta Gray, Victoria Hunt and Waimihi Hotere . Our conversations were never less than half-an-hour and on a few occasions even extended to ninety minutes! The transcriptions of these kōrero came in at over 30,000 words and I would like to acknowledge that this essay in no way summarises the vast diversity and richness of our conversation. There will be many more essays, reflections and opportunities to continue this exchange. I would particularly like to thank Stuart Hoar from Playmarket and Sharon Mazer from AUT for their unstinting support and willingness to continually engage, debate and review my work; Matthew Harnett for his critical feedback and support; and finally, to my theatrewife, Nathan Joe, whose unflagging good humour and robust feedback has made sure that this iteration of Towards a New Zealand Dramaturgy has made it to the page.